It should come as no surprise to anyone that the world of work is changing. Technological advances in artificial intelligence, machine learning, and robotics – to name a few – are impacting the workplace in profound ways. One perspective predicts these changes will lead to significant job loss for humans and dire economic consequences. There are others who, while acknowledging that changes will occur, disagree that the impact will be that substantial. 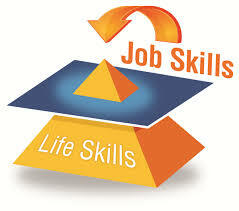 What’s not in question is that our mindset, skills, and approach towards work in the 21st Century will need adjusting. Another legitimate concern is whether the workforce changes created by these advances will provide equal opportunity for all to participate in the new world of work or if the gap between the haves and the have-nots will widen even further. This is the area of concern for Transformation Training and our associates at the Greater Paterson OIC. Technical skills training is important, but equally important for the world ahead is the development of what are commonly referred to as soft skills, but we like the term human skills They are valuable both on the job and everyday life in general. Ensuring that those in underserved communities have access to this training and the opportunity to find a place in the new world of work is one of our goals. Challenges, obstacles, and setbacks will occur in business and in life. Learning creative processes to solve those issues is an essential skill. Arming our students with problem solving skills helps prepare them for the new world of work. The ability to find, organize, and coherently present data and information that can be used to make informed decisions is another valuable skill. Helping our students develop this skill is a major goal of our training. Developing a balanced, structured, process for making important decisions is a key aspect of critical thinking. This skill is valuable both personally and professionally. Presenting our students with situations and scenarios and helping them develop critical thinking processes to work through them is an important part of our training curriculum. We believe that individuals with a basic understanding of business principles and who have a sense of what it takes to run a business make for better employees. Not everyone wants to be an entrepreneur, but with a foundational understanding of business principles an individual’s role as employee, and how that role contributes to the company’s business goals become clearer. And who knows, when or if the time comes where the entrepreneurial bug hits, one will be better prepared to follow the path. With the abundance of social media outlets available today, you would think communication would not be an issue. However, there is a big difference between social communication and business or professional communication. The ability to communicate both verbally and non-verbally in a professional manner is a challenge for some. Working with our students on building solid communication skills is another key area of focus in our training. Collaboration and teamwork are common elements of today’s workforce. Developing interpersonal skills, and the ability to work with diverse groups of people on projects and task is expected today. Our training program includes team-based activities that help our students build these skills. Generally, those from more affluent and higher educational backgrounds are aware of the changes occurring in the workforce and the skills required. They have access to resources that can help them prepare. Our focus at Transformation Training and the Greater Paterson OIC is that those from underserved populations also understand what’s happening and can develop the skills required to participate in the present and future workforce. We are committed to working together towards this end. Please contact us if you’d like to provide resources that can help us provide these services. Your assistance can help change lives and would be greatly appreciated.